Figuring out the future of the rapidly warming Arctic is crucial for climate scientists, largely because changes in the region’s ice — both on land and at sea — can have major consequences for the rest of the planet. Sea ice declined to a record low in September 2012, and scientists have projected that the region will become seasonally ice-free by mid-century, based on satellite data, observational evidence, and other information. But researchers have only recently had the ability to keep close tabs on this region, which increases the uncertainty of their predictions. Without good records of what the Arctic was like in the past, it’s difficult to make reliable predictions of what’s to come — and unfortunately, there weren’t many weather stations in the sparsely populated and forbidding North until the past few decades. Ships, however, have long explored the Far North, and a new effort called the Arctic Rediscovery Project, sponsored by the National Oceanic and Atmospheric Administration’s Pacific Marine Environmental Laboratory, in Seattle, is taking advantage of that fact. 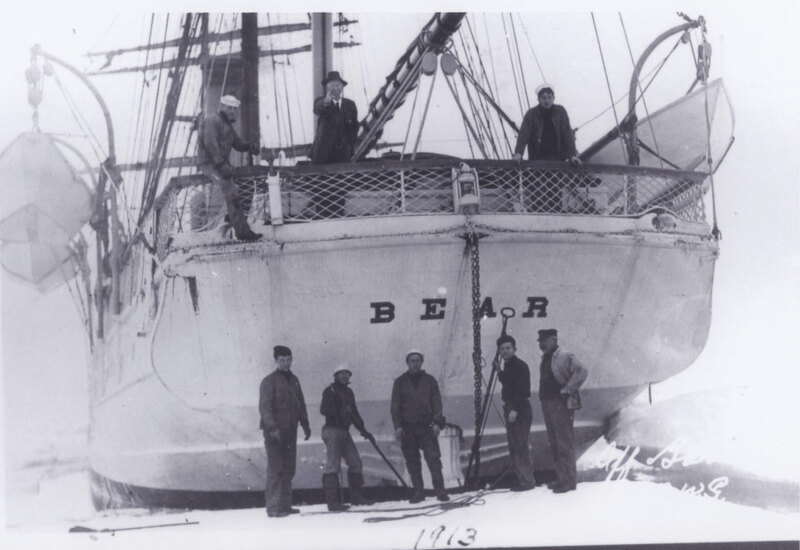 Using records kept by explorers who ventured into Arctic seas all the way back to the 1840’s, University of Washington climate scientist Kevin Wood and a horde of volunteers are trying to piece together a climate story that would otherwise remain unknown. The project came about through a purely chance encounter when Wood attended a meeting on historical climatology and ran into Philip Brohan, a British climate scientist who worked with the Zooniverse citizen-science organization. The group invites volunteers to look for patterns in data that even the most powerful computers can’t easily spot, but that the human eye can. Zooniverse lets interested non-scientists look for evidence of faraway planets, for example, in data from NASA's Kepler space telescope; estimate wind speeds from satellite photos of hurricanes; and, in a project called “Old Weather,” transcribe British Royal Navy logbooks from World War I to recover weather observations from around the world. It was this last project that caught Wood’s eye. The Zooniverse team had been overwhelmed with volunteers, and they were running out of logbooks. “So I came up with the idea of an Arctic version,” Wood said in an interview. As part of this project, scientists and volunteers are looking at logs from 16 U.S. Navy, Coast Guard and Coastal Survey ships that spent time in the Arctic before 1950, paying special attention to measurements of temperature; atmospheric pressure; and wind speed and direction. Those records are then fed into supercomputers, which use a technique known as “sparse input reanalysis” to generate a best guess at atmospheric conditions over a wide area. “We’re trying to recreate conditions from the surface of the ocean to the tropopause [the start of the stratosphere) for every six hours from 1840 to the present,” Wood said. It may sound like an impossible task given how sparse the data actually is, but they can test the reconstruction's accuracy by comparing it with actual, highly accurate measurements from the most recent few decades. The project has barely begun, said Wood, but like his British counterparts, he’s been astonished by the response: more than 16,000 citizen-scientists have signed on so far. “The first phase of transcriptions is already flowing in,” he said, “and our goal is just to keep it flowing.” By the end of this year, the project aims to extract data from the logs of all 60 of the vessels that plied Arctic waters before 1950. It will be some time after that that Wood and his colleagues can generate comprehensive simulations of Arctic climate. But once they do, it will be a lot easier to gauge how typical, or how unprecedented, a particular set of climate conditions really is.